Unveiled last week at the 2017 MWC in Shanghai, ISOCELL, Samsung's new image sensor brand, looks to continue the legacy of its namesake technology. The company emphasizes the brand's versatility, and expects to see its adoption in a host of products. For many Samsung is a name associated primarily with its Galaxy S lineup of smartphones. Although, one doesn’t have to look hard to find the company’s name on a wide array of devices; from Smart TVs and VR headsets to office printers and home appliances, the company truly has a diverse portfolio. Until recently, the company was also heavily invested in the digital camera market. Seeing the rise in increasingly capable smartphone cameras as a signal to refocus the company’s role in the market, Samsung has instead opted to apply their image sensor technology in more innovative ways. 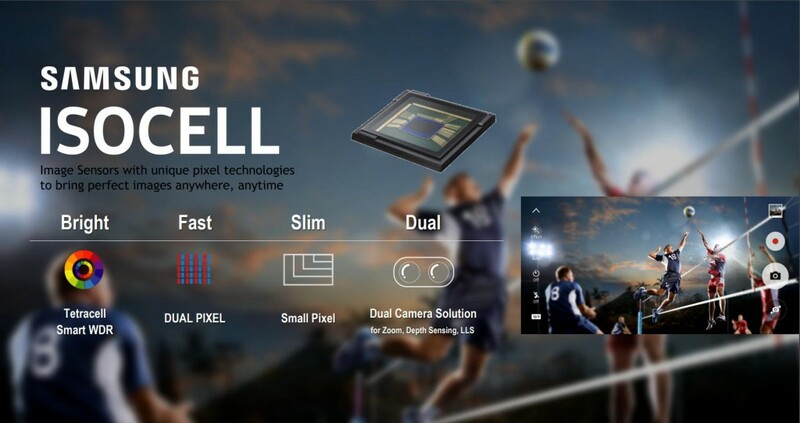 A glimpse into the company’s vision for the future was provided to consumers and investors with the announcement of its image sensor brand ISOCELL. If ISOCELL sounds familiar, that’s because the technology was actually first introduced in 2013 and used in sensors that appeared in the Galaxy S5, S6, and S7, among other devices. The choice in naming is likely a result of the company’s desire to continue the legacy of its ISOCELL technology, which it touts as “the optimum solution for today’s devices that require ultra-slim designs with high quality cameras”. In a statement after the unveiling of the new brand at the 2017 MWC in Shanghai last week, Ben Hur, VP of System LSI marketing at Samsung Electronics, promised to “bring innovation to cameras used in smartphones and other applications”. Thanks to recent coverage from GSMArena, we were provided with some additional insight into Samsung’s future plans for the fledgling brand. Specifically, the article points to the Slim and Dual sensors, with the latter likely to see adoption in future smartphone devices. The former will also likely be used in smartphone cameras, but has promise for use in automotive sensors, VR, and wearables as well. While Samsung has closed the door to the digital camera market, it would appear that there are numerous others to be opened with its image sensor technology. It seems likely that the ISOCELL brand will see widespread adoption across a plethora of devices in the near future.